Mathura City in Uttar Pradesh is a place greatly revered by the Hindu pilgrims and it is an indispensable stopover on the itinerary of a tourist who is on his Uttar Pradesh tour. 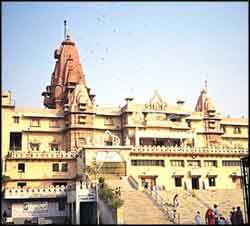 Mathura is most reputed as the birthplace of Lord Krishna and is also called as the Krishnajanmabhoomi. Mathura is a wonderful place for exploring the mythological associations the city has, especially with the events related in the Mahabharata. 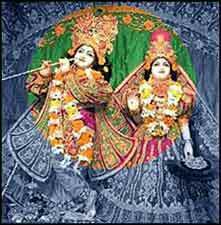 One of the most important tourist attractions in Mathura is the Krishna Janambhoomi temple. Located in the heart of the city, it is believed to have been built on the place where Lord Krishna was born. There is a stone slab marking the exact site of his birth which fascinates the believers. The Dwarkadhish temple is another attraction in this temple town that should not be missed out by the tourists. The temple is located on the way to Yamuna and is highly venerated by the Hindu pilgrims. Mathura city in Uttar Pradesh is also famous for the production of the images of Buddha and they would also make for some of the best buys for the souvenir hunters. A trip to Mathura would also take you to the Ranghbhumi which is the site where Kansa, Krishna’s uncle was slain by him. Nearby there is also Vishram Ghat where Lord Krishna rested for sometime after killing Kansa. The place is reminiscent of the mythological charm that seems to linger here. The Government Museum is also among the important tourist attractions and is a must visit for the tourists. The museum is a repository of the largest collection of Kushana sculptures in the nation. Some of the things housed in the museum are stone sculptures terracotta items, gold, silver and copper coins, clay seals, ancient pottery, paintings and bronze exhibits. Mathura is a growing tourist hub and hence it offers to its tourists fine lodging options. The city has three star hotels such as Best Western Radha Ashok and Hotel Sheetal Regency. You will also find Economy Hotels such as Hotel Mukund Palace and Hotel Surya International. There are also budget hotels such as Dwaper Resorts and Hotel Kaveri. Mathura has a good transportation network and it can be reached from all corners of India. The nearest airport is Kheria in Agra which connects the cities like Mumbai, Kolkata, Chennai, Bangalore and Ahmedabad. 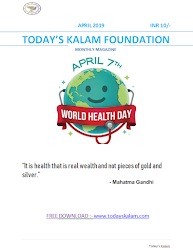 The rail transport is equally good and the cities of Delhi, Agra, Mumbai, Jaipur, Gwalior, Kolkata, Hyderabad, Chennai and Lucknow are connected by the super-fast and express train network.